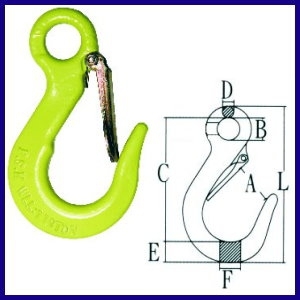 Hooks are designed for Grade 80 alloy steel hanging chain and wire rope. 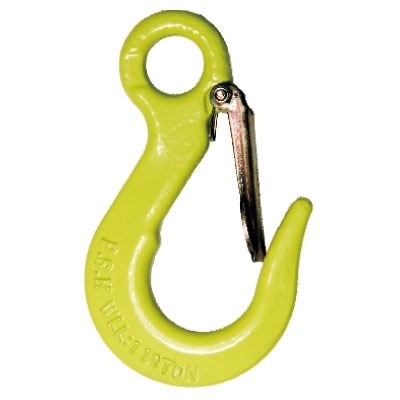 Safety latch attached with hook to prevent disengaging. The feature of this hook is wide opening. Capacity, P.S.K and WLL embossed on the products.